I’m an “all the itas” kinda girl. Fajitas, margaritas…. you get the picture. 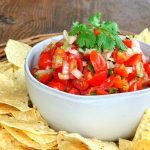 Being a huge lover of all things Mexican or even Tex-Mex in the food category, I love a good pico de gallo recipe – but I’ve never had great experiences with homemade versions. They just can’t seem to hold a candle to the restaurant style that I love. So much to my surprise, I accidentally made my own recipe one night that’s completely different from any I’d ever seen out of pure necessity. 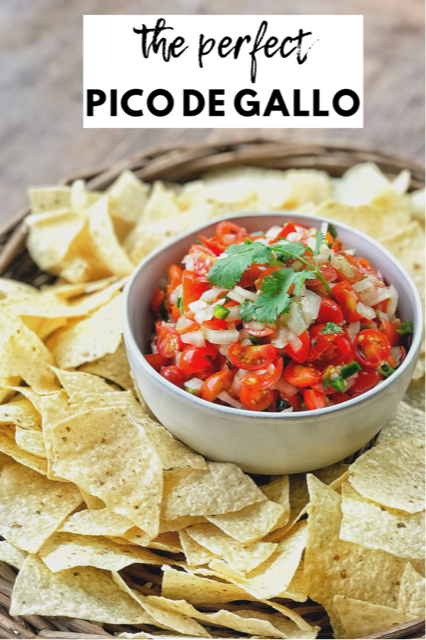 See… I wanted pico, but I didn’t have all the ingredients that are basically known for pico de gallo, so I improvised. And it was so damn good that I don’t think I’ll ever going back to making it the “right” way. Before the food police comes to banish me from blogging (*cue the bad cop show music*) – I’m going to go ahead and confess: I used lemon juice instead of lime. Because honestly… I forgot to buy limes – but did buy lemons. So I used what I had. And it was AH-mazing. No one ever knew! OH! And I’ve found that cherry tomatoes are the best kind because the seeds are so small! So now that my confession time is over, let’s get to the recipe. Mix all the ingredients in a bowl and let sit for at least an hour before serving. If you can wait that long. 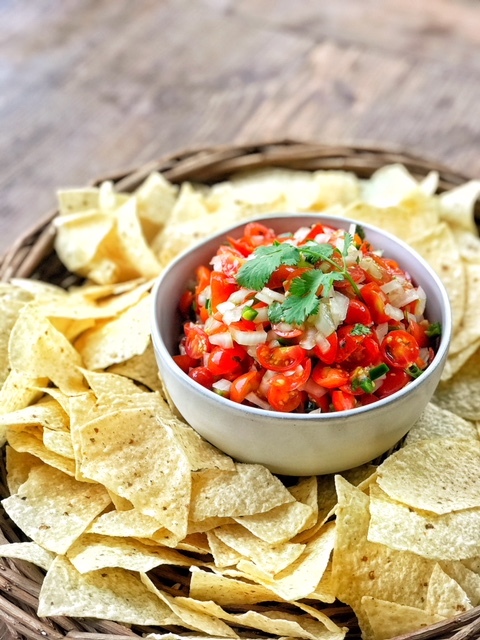 Trust me, if you do wait, you’ll be rewarded with the perfect pico de gallo.